Painting doesn’t have to be hard! 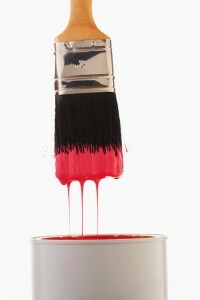 When it comes to painting your entire home, or maybe even just a room or two, the process can seem incredibly daunting. However, with these easy painting tips on hand, you will be more than ready to take on any painting project and be your own home improvement guru. It is key to start with clean walls, otherwise you risk dust and other debris disturbing the coat of paint and getting in the way of a beautiful even finish. Use a dry Swiffer to get high, low, and into those pesky corners. Even if you are on the petite side, this tip makes prepping for painting a breeze. As far as easy painting tips go, this one will always ensure you get precisely the look you want. Rather than going through a thousand swatches, select a color that is close to what you imagined, paint a small section of your wall, and leave it for a couple of days. See how it actually looks in different lighting and how it looks with your furniture before you start painting. Many non-professional painters think that this is the best way to go, but that is not always the case. In fact, one of the best easy painting tips is to paint in a “W” formation instead. This is both easier and spreads paint more evenly. You will get a flawlessly even finish. When painting around windows, apply lip balm on the glass of the pane of your window to protect it in areas where you will be painting trim. If any paint gets on the glossed areas, it will be easy to wash away. When painting doors, you can also put vaseline on the hinges and plastic sandwich bags around knobs to protect them from the paint.